Two weeks ago I posted a sneaky peak of a new project that I was working on. 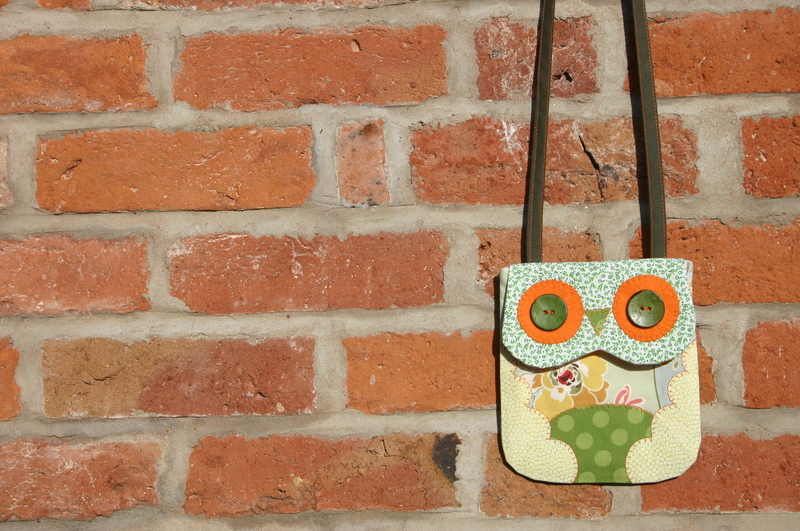 I am so excited to announce that very shortly my new sewing pattern for an Owl Mini Bag will be available for download! In the mean time here’s a picture of the finished bag…. owl. Cute colours, cute face. Wonderful design.